Research has shown that patients are more likely to have a breast screen if it is recommended to them by their GP. Regular, two-yearly mammographic breast cancer screening remains the most proven method of detecting breast cancer in its early stages. The earlier breast cancer is found, the better the chance of survival. 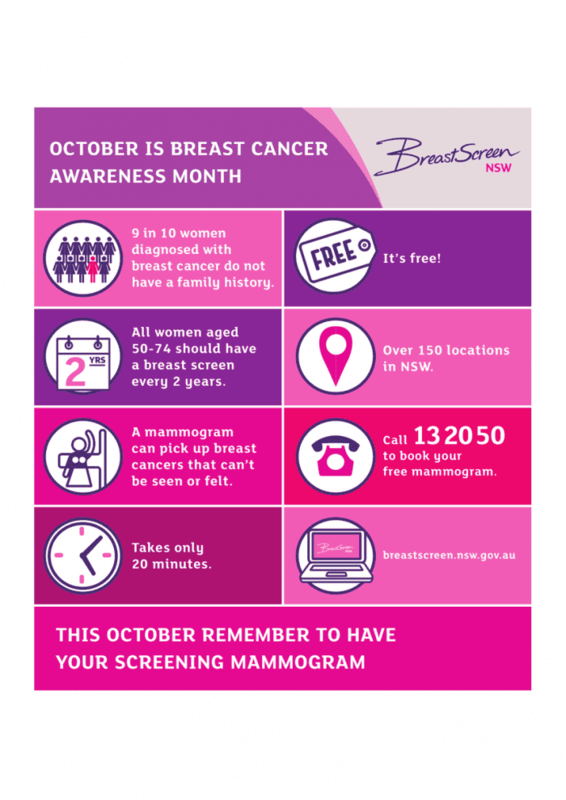 Incidence of breast cancer has remained steady at around 300 per 100,000 women for over a decade; however, the age-standardised mortality rate has reduced by 21-28% since the introduction of the BreastScreen Australia Program in 1991. The age-standardised mortality rate for Northern Sydney was 23 per 100,000 compared to 20 per 100,000 for NSW in 2012. Similar to the trend for NSW, breast cancer related morality has been decreasing in Northern Sydney since 1991. Despite 1 in 8 women developing breast cancer in NSW in their lifetime, only 1 in 2 attend for regular screening. BreastScreen NSW is equipped with the latest digital technology. All screens are independently read by two sub-specialty trained radiologists. 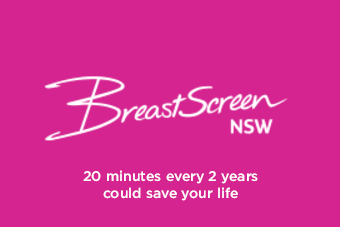 BreastScreen NSW invites women aged 50-74 to screen as the majority of breast cancers occur in this group. Women aged 40 – 49 and over 75 are eligible however are encouraged to discuss their need to screen with their GP first. 9 in 10 women who develop Breast Cancer do NOT have a family history. The service is for asymptomatic women. Please refer women with breast symptoms to a diagnostic service. We seek your active support to encourage women to participate in the BreastScreen NSW Program. They can make an appointment by calling 13 20 50. SNPHN has Breastscreen referral templates for General Practice (available here).